In Pokémon Go's Raid Battles, Trainers can challenge a specific Pokémon for a chance at great rewards. If a Trainer (or group of Trainers) is successful in defeating the Pokémon, they will get the opportunity to catch that Pokémon. In order to catch a Raid Pokémon, you’ll need to use Premier Balls, which are obtained upon defeating the Raid Pokémon. Premier Balls are available only when catching Raid Pokémon and are not kept after the Raid Battle has ended. Whether or not your team controls the Gym. If your team is in control of a Gym when the Raid Boss is defeated, you’ll receive extra Premier Balls as well as extra items. Your team’s overall performance in battle. This considers factors such as your team’s overall damage dealt to the Raid Boss. An interesting analysis of Premier Ball reward determination can be found in this Reddit thread. Your personal performance in battle, which considers similar criteria as detailed above. Your Gym Badge tier with that Gym. Trainers with a Gold Badge will receive extra Premier Balls and items. 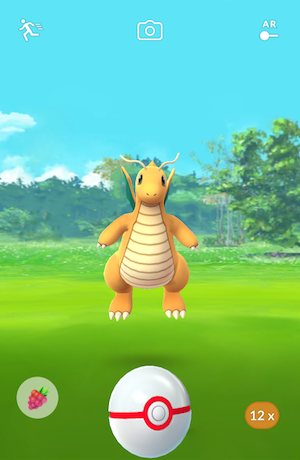 Unfortunately, it is totally possible to fail at capturing a Raid Pokémon by running out of Premier Balls, in which case the Pokémon will flee. You can boost your catch rate in the same ways as you can with wild Pokémon, including using Razz Berries, curveballs, and other strategies. If you still fail to catch the Pokémon, you’ll have to wait for it to show up again in a future Raid Battle for another opportunity. Many Raid Pokémon can also be caught in the wild, with the exception of Legendaries and the Fairy / Steel type Pokémon Mawile. It's worth noting that if you happen to encounter a Shiny version of a Legendary Pokémon, such as Articuno, you are guaranteed to catch the Pokémon. You can check out which Legendaries can be Shiny in our complete guide to Shiny Pokémon! Potions: You can receive Super Potions and Hyper Potions by successfully defeating Raid Bosses. These potions can also be obtained by spinning Gym Photo Discs. Revives: A near-essential item for Raiders, as it allows you to recover and heal a fainted Pokémon. You will receive normal Revives only, which restore less health. You will not receive Max Revives as Gym rewards. Technical Machines: Technical Machines (TMs) can be used to teach your Pokémon new moves. There are two types of TMs, Fast TMs and Charged TMs, which will determine what type of attack will be learned. Golden Razz Berries: These are handy to have, as they can be used to completely restore a Gym defending Pokémon’s Motivation. They can also be used during wild Pokémon encounters to greatly increase your chances of capturing that Pokémon. Rare Candies: Rare Candies can be used on one of your Pokémon and will be transformed into a Candy for that Pokémon’s species. This is insanely helpful for obtaining Candies for harder-to-find Pokémon, allowing you to get closer to evolving them. The talented Pokémon researchers at The Silph Road have performed an extensive study on determining which rewards you’ll receive upon successfully completing a Raid. You can check out their data here!